Mother Nature strikes when you least expect it … our Improv Traffic School Team has come up with some tips on driving during a Hurricane. But it you have to …..
Driving Tip #2 Make sure you have a full tank of gas before you hit the open road! 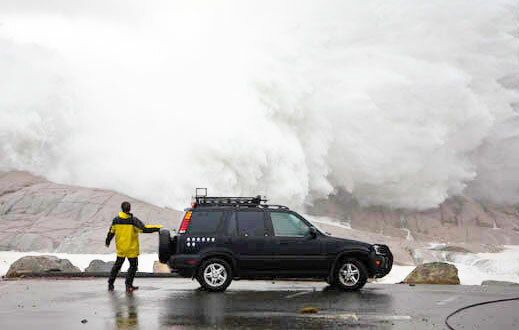 Driving Tip #3 Make sure you have flood insurance! Driving Tip #5 Have alternate routes of exit through your town in case your familiar roads are shut down for flooding. Driving Tip #6 Let your family know, whether you get along with them or not, what your plan is so you have someone that has tabs on you! Driving Tip #8 Watch out for high winds!